Judith A. “Judy” Hall, 79, passed away March 29, 2019 at Scenic Hills in Ferdinand. She was born in Indianapolis, Indiana on March 7, 1940 to the late Albian and Helen (Bischoff) Hardin. Judy was united in marriage on June 15, 1974 to Louis S. Hall. She had earned her Masters Degree from Indiana University and taught at Perry Central Community Schools for 34 years, retiring in 2002. 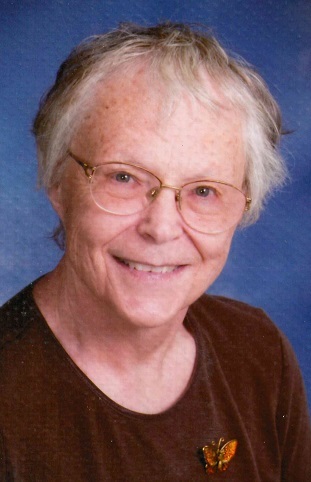 Judy was a member of St. Mark Catholic Church, where she formerly served as Religious Education Director. She was a member of the Indiana State Teachers Association and the National Education Association. She was also a past board member of Southern Hills. Judy enjoyed painting, gardening, reading and animals, especially her horses. Surviving is her husband, Louie Hall and their son, Edward Hall, both of Derby and a brother, Michael Hardin (Linda), Atlanta, GA.
A Mass of Christian Burial will be held at 10:00 AM CDT Wednesday, April 3, 2019 at St. Mark Catholic Church. Rev. Dennis Duvelius will officiate. Burial will follow in Gilliland Cemetery. Visitation will be Tuesday from 3:00-7:00 PM and Wednesday 8:30-9:15 AM at Huber Funeral Home, Tell City Chapel. Memorial contributions may be made to Little Sisters of the Poor or the Perry County Animal Shelter.